A cryptocurrency (or coin) wallet is a program that allows users of a cryptocurrency to store their coins. A wallet can be a downloadable software package (usually known as a Core client), an app for your mobile phone, a piece of hardware, a website, a browser extension or even a piece of paper. There are hundreds of wallets to choose from, but some of the best ones have been narrowed down in a list here. In addition to storing your coins, wallets can also send and receive coins from other users of the same coin network. These networks operate independently from one another and, for the most part, do not recognize each other’s transactions. For example, if you try to send some bitcoin (BTC) to a litecoin (LTC) address, your bitcoin will be lost for good in a worst-case scenario, or the transaction will be rejected by the network in a best-case scenario. A wallet will contain an address (or series of addresses) that is associated with your account. You will use your address to receive coins, presenting it to the payer in its original alpha-numeric form, or in a scanable QR code format, which makes it especially easy to receive funds from a mobile wallet or any other wallet attached to a camera. Wallets keep your funds safe and secure by requiring a password to log in, send funds, and in some instances, require two-factor authentication (2-FA) as well. The added security of 2-FA gives your wallet a double layer of protection, making it harder for hackers and thieves to withdraw funds from your wallet without your permission, and it is highly recommended you turn on 2-FA when offered the chance. Cryptocurrency wallets give users direct control over their funds. Unlike banks, they are open 24 hours a day, 7 days a week, and do not require a human intermediary (or “third-party service”) to send or receive funds. They can be backed up, are often portable, and many of them give the users direct access to their “private keys,” meaning that even if you were to somehow lose access to your wallet, your funds could be restored by importing the private keys into a new wallet. In this way, a cryptocurrency wallet is better than a real wallet, because you cannot create a copy of your real wallet and leave it in a safe place while you walk around with your real wallet. Since cryptocurrencies are seemingly the wave of the financial future, you will likely want to know how to store, send and receive coins using them. If you are a merchant of any kind, you don’t want to be caught in an embarrassing situation where somebody wants to pay you in bitcoin for your product, but you don’t know how to accept the payment. After the registration process and with just a little bit of practice, you can soon accept bitcoin – or any other cryptocurrency – as payment for products and services, and have it instantly converted into a real currency if you’d like. The idea of cryptocurrency is necessary because it offers a viable alternative to traditional banking methods, which are sometimes costly, ineffective or not accessible. Anyone around the planet with an internet connection can download a bitcoin Core wallet and instantly become a member of the bitcoin network, acting as a node. The distribution of user nodes around the world makes cryptocurrencies hard to shut down, because even if the internet was shut down across an entire continent, nodes running on other continents would keep the coin network alive. Because cryptocurrencies are decentralized and their operations bound by a set of programmed rules, they cannot be easily subjected to manipulation. No government or individual can decide to mint their own new bitcoins, nor can they modify the blockchain to their advantage. In this way, the idea of cryptocurrency is revolutionary because it prevents arbitrary changes to a monetary system. It maintains a core philosophy of fairness, giving it a leg up on corporate competitors, some who are already adjusting their business models to compete with recent breakthroughs in cryptocurrency applications. How Do I Get A Cryptocurrency Wallet? Desktop Wallets – These include full node clients that allow users to participate in mining, as well as other downloadable software wallets that are smaller in size and rely on the use of a blockchain kept on a remote server, rather than on your own computer. Node clients and advanced desktop wallets like Electrum offer the most functionality and security, and it is often said that the only true way to be in control of your coins is to have a node client and blockchain installed on your computer. 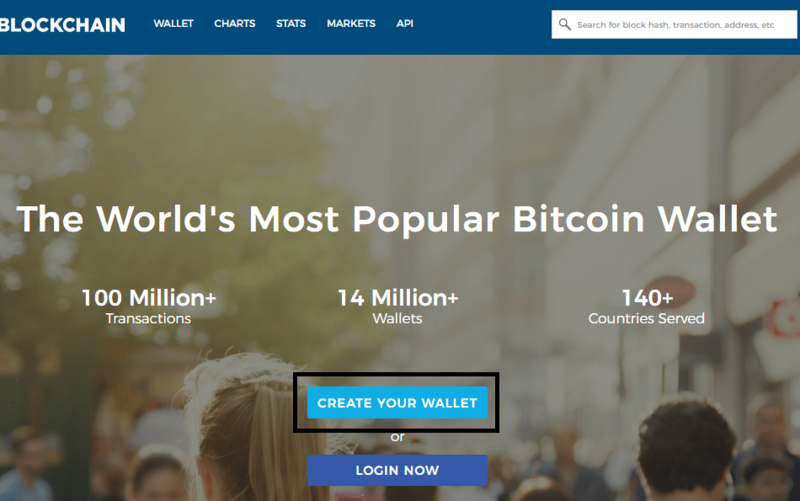 Web Wallets – Easy to access and use, web wallets are the world’s most popular method of storing bitcoin, because they require no downloads or advanced technological know-how to use. One of the most popular and trusted web wallets is blockchain.info, which has to date created over 14 million user wallets since its beginnings in 2011. Other web wallets like Counterparty have “built-in exchanges,” or ways to trade coins or tokens through the wallet itself. This is one example of a “multicurrency wallet,” which are designed to store and transact multiple cryptocurrencies through a single user account. Mobile Wallets – Having a wallet on your phone is about the most convenient way to store and carry your cryptocurrency. Bitcoin wallets currently exist for Android, iPhones, Windows and Blackberry phones. They come in the form of an app, can be protected with 2-FA, and much like web wallets, interact with a remotely-stored copy of the blockchain to function. With phone wallets, users can send funds quickly by using their phone camera to scan an address QR code. Most phone wallets also give users access to their private keys, or at least have some sort of backup procedure, so if you should lose your phone or accidentally delete your wallet, your funds can still be recovered. Paper Wallets – A paper wallet consists of a piece of paper (or card) that contains the public key and private key for an address of a given cryptocurrency. Usually there is also a QR code for the public key (address) and private key, which makes it easy to add funds to a wallet or import the funds into another wallet. Paper wallets are great for saving bitcoin as a medium- to long-term investment. You can load a paper wallet with bitcoin and then leave it somewhere secure, like a safe, knowing the funds inside cannot be spent without access to the private key contained in the wallet. Other types of wallets include hardware wallets: USB-compatible hardware devices specifically designed for the secure, offline storage of bitcoin, and extension wallets: web browser applications that perform client-side wallet operations which do not expose user information to the internet. Cryptocurrency exchanges like Poloniex also act as wallets, but this is one of the least secure methods of storing your coins, as exchanges are frequently subject to downtime, hacks and sudden closures. Click here for our full list of authenticated wallets. What Are The Safest Wallets To Store My Coins? To have complete control over your own funds, you will need to download a Core or full node wallet software bundle for your cryptocurrency of choice. This includes downloading a copy of your coin’s blockchain, which can be a lengthy and tedious process. As discussed before, paper wallets are an extremely safe and effective way for keeping your bitcoin secure, but if you plan on doing a lot of transferring of funds, then you may want to use a trusted 3rd party wallet like Coinbase or Electrum. Of course, if somebody gains access to your wallet password and/or private key, your funds can easily be stolen, so be sure to keep this information in a secure, offline location, and use 2-FA whenever possible. How Do You Use A Wallet To Send And Receive Coins? 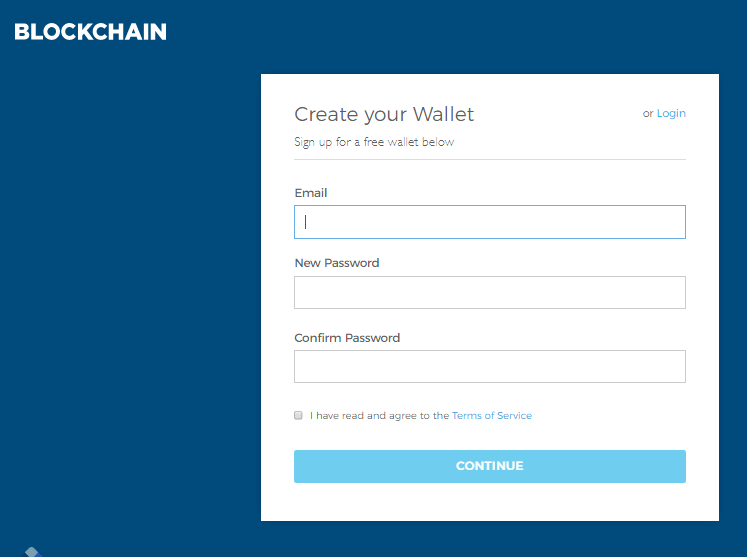 Step 1: Create a wallet by visiting blockchain.info and clicking on the “Wallets” tab. Step 2: Click on the “Create Your Own Wallet” bar in the center of the page. Step 3: Fill in your email, create a strong password and check the Terms & Conditions box before clicking the button to create your wallet. 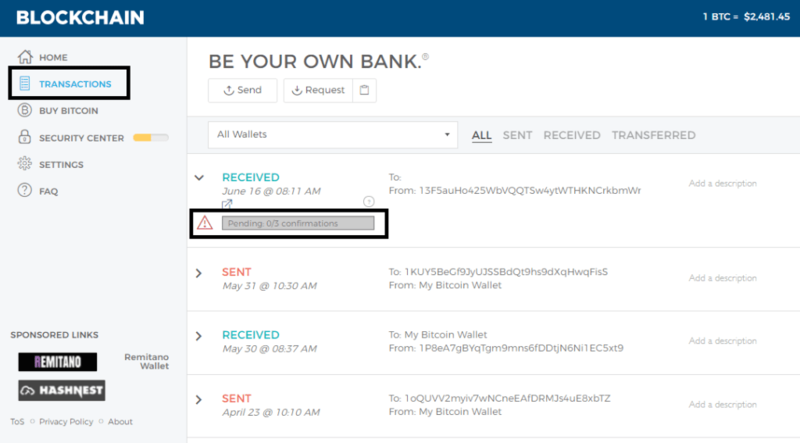 Step 4: From the main menu screen, go ahead and click the “Start Receiving Bitcoins” button under the description where it says “Welcome to your Activity Feed.” This will bring you to a screen which displays your blockchain.info bitcoin wallet address, which you will then use to transfer the bitcoin stored in your Coinbase address to your blockchain.info address. 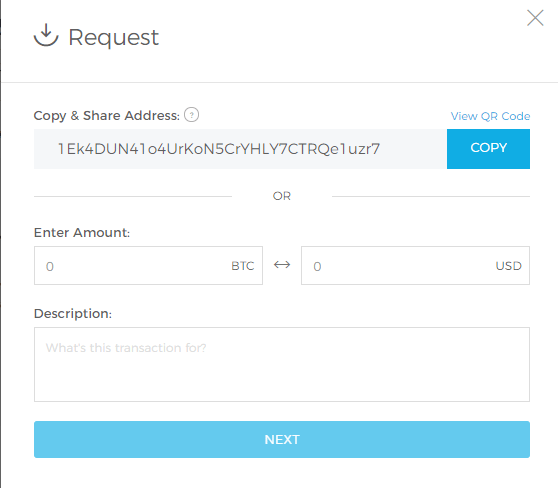 Step 5: Copy and paste your blockchain.info address into your Coinbase transfer screen, enter in the amount of bitcoin you wish to send to yourself, and hit “Send.” If you are using a mobile wallet to send BTC, you can click the “View QR Code” link right above the “Copy” button in your blockchain.info screen, then use your phone to scan the QR code address and send yourself bitcoin that way. Step 6: Verify that your funds have been received. To do this, click the “Transactions” menu option on the left-hand side of the screen to review the list of incoming and outgoing transactions. It’s a good idea to give Coinbase at least 10 minutes to perform the transaction, so don’t be surprised if nothing shows up right away. Once the transaction does appear, click on the right-pointing bracket (“>”) to reveal expanded information about the transaction. Blockchain.info will accept coins into your wallet only after they have been confirmed by 3 miners, and the transaction will remain “Pending” until this minimum has been met. Once it has, the coins are officially part of your blockchain.info wallet and can be used to make other transactions. Blockchain.info offers advanced security options and will require you to confirm your login and bitcoin sends via email, just to make sure it is you who is the one accessing your account. Blockchain.info also insists that you back up your wallet by writing down a 12-word password, so in case you lose access to your password and/or email account, you can restore your wallet by simply re-entering these 12 words. In this article, we got a little bit more technical than our previous two, introducing you to some of the fundamentals of how cryptocurrency wallets, transactions and security works. We reviewed what a wallet is, what types of wallets there are and how to use them. For more information on cryptocurrency wallets, there plenty of other resources and video tutorials to help you better understanding how they work and how they use them. Since cryptocurrency is catching on in the financial community like wildfire, you may want to educate yourself in this field, and not risk missing the chance to be part of this exciting new revolution in the way people store and exchange money. I just came across Coinclarity while searching for a single site I can refer newcomers to. Coinclarity is THE site for such as well as an outstanding source of information presented in a sensible, understandable manner for the intermediate miner/trader (me). Great job! Thank you! We certainly appreciate the comment, and the recommendations! Feel free to let us know if there’s anything we can do to improve our users’ experience here. CoinClarity.com is not an exchange and do not offer cryptocurrency wallets. We are an informational website where you can learn about cryptocurrency, different exchanges, wallets, coins, casinos, and upcoming ICOs. We have a variety of resources you can use to find a coin you would like to purchase with BTC on an exchange using your Coinbase wallet. Hello, Question can I switch or have multply opiaions for one wallet? Thank you for the help. If you are talking about transferring one address or the coins in a wallet to another without having to pay a transaction fee, you’ll need to import the contents of your old wallet into the new one. In order to do that you’ll need to have access to your old wallet’s private keys. I could use your assistance and guidance. I need to create a wallet for Mkt Coin (MLM). MKTCoin Wallet This is where you can signup for their wallet.